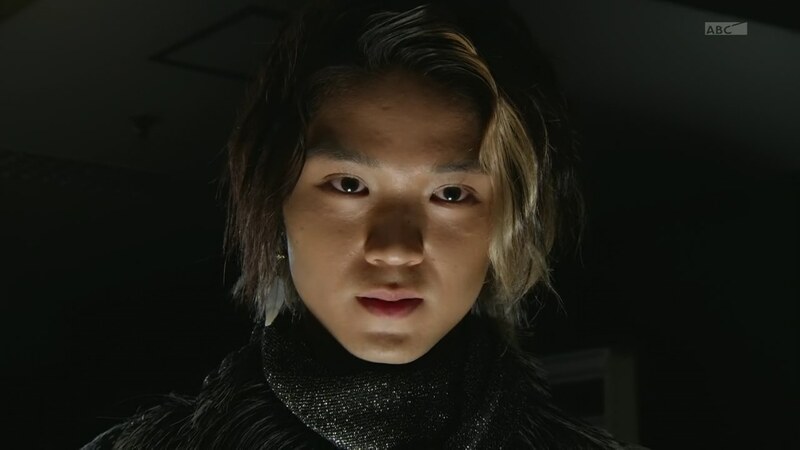 Recap: Kamen Rider Ghost, Episode 13 – Exciting! A Free Man! 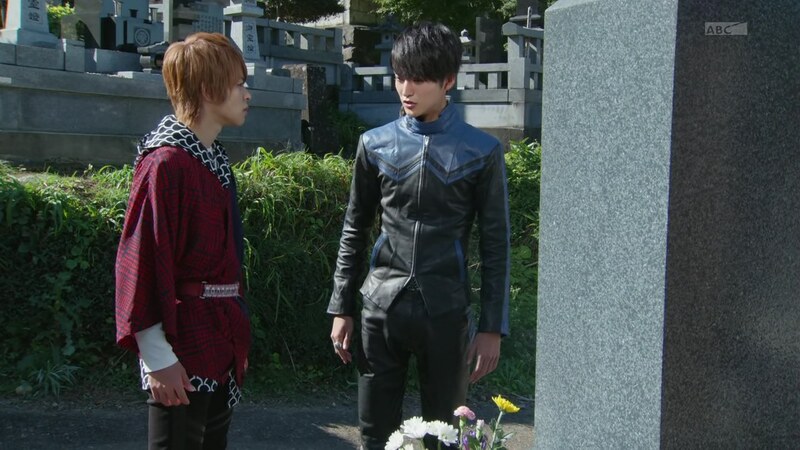 Takeru is at his father’s grave, thanking him for his second 2nd chance. Makoto-niichan approaches and says Kanon is doing fine. He turns to Papa Tenkuuji as well. Takeru interrupts and asks what Makoto meant when he said he went to hell. Makoto says he and Kanon had to live in the Ganma world for ten years, but that he’ll explain once he’s settled everything. Meanwhile in the hellish Ganma world, Aran arrives. He finds that they can still infuse power to the Ganma even without Saionji. Alan wonders where someone went, but for now, he’ll go meet with his brother. He sends two Ganma back to the human world. 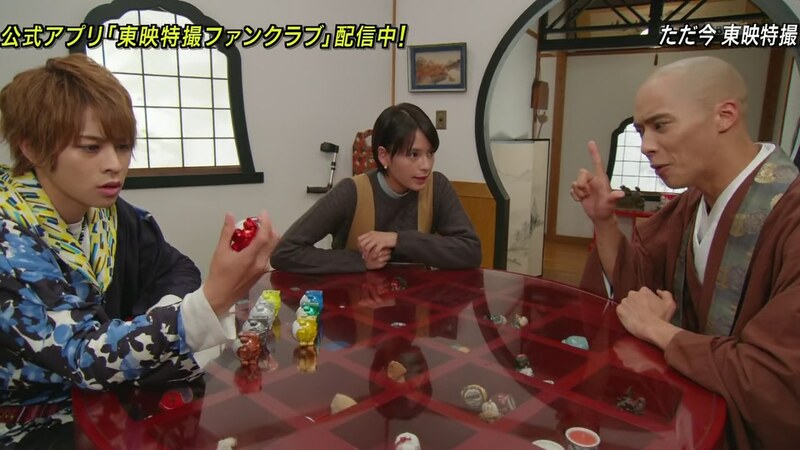 At the temple, Takeru, Akari and Onari are going over what Takeru needs to do. Takeru tells them about hearing Musashi’s voice and decides to ask Grampa Sennin. Gramps is in the lab talking about Ryuu acting on his own again. He tells Takeru that Papa Tenkuuji will not appear again since he disappeared saving him. 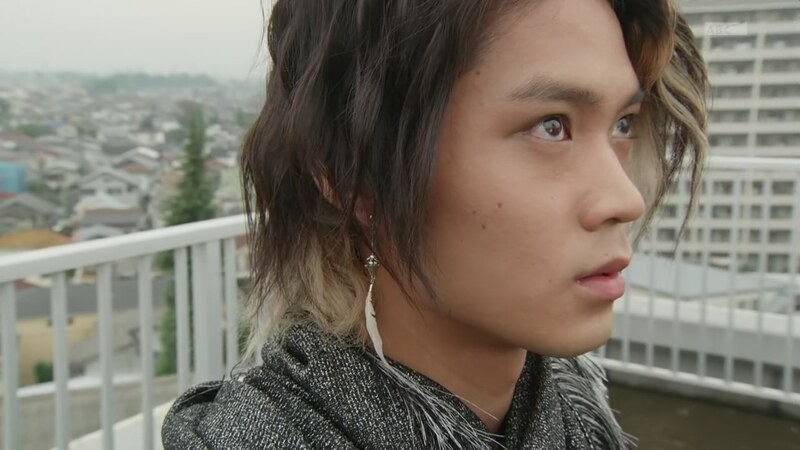 But if Takeru can collect the Eyecons in 99 days, he might be able to save both their souls. Before Takeru can ask what he means, Grampa Sennin hits at the next luminary to pop up: Sakamoto Ryoma. Onari hurries down to tell Takeru about people collapsing all over the city. Anyone with a cell phone gets zapped unconscious with their souls seemingly being collected by the Ganma. The Eyecon-possessed man has set up shop on a park bench giving a talk about big dreams. Takeru, Akari and Onari arrive and Yurusen tells them the man is being controlled by an Eyecon. 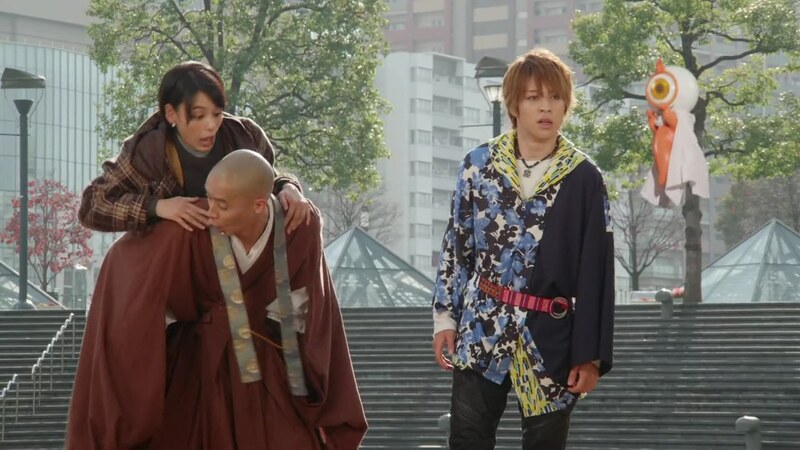 Takeru tells Onari and Akari to get everyone to safety. 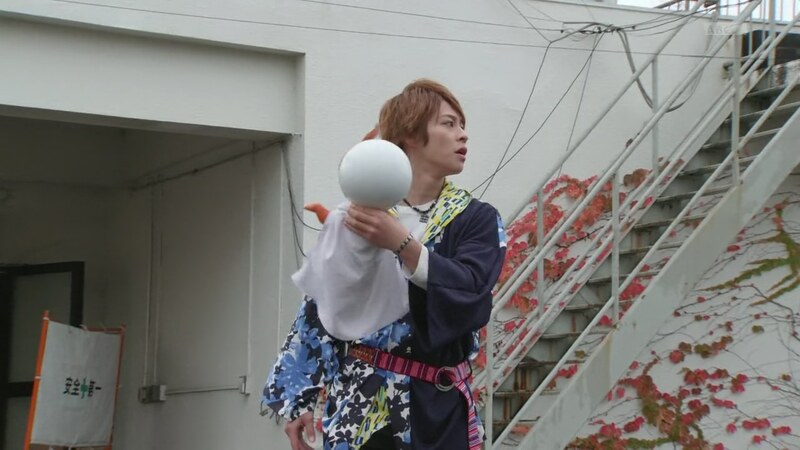 Before Yurusen can finish explaining to Takeru, he has already henshined and is grabbing the “Ganma” by the collar. “You are a poor judge of character!” the man says. Yurusen says this isn’t just an ordinary Ganma Eyecon. This is the Ryoma Eyecon. 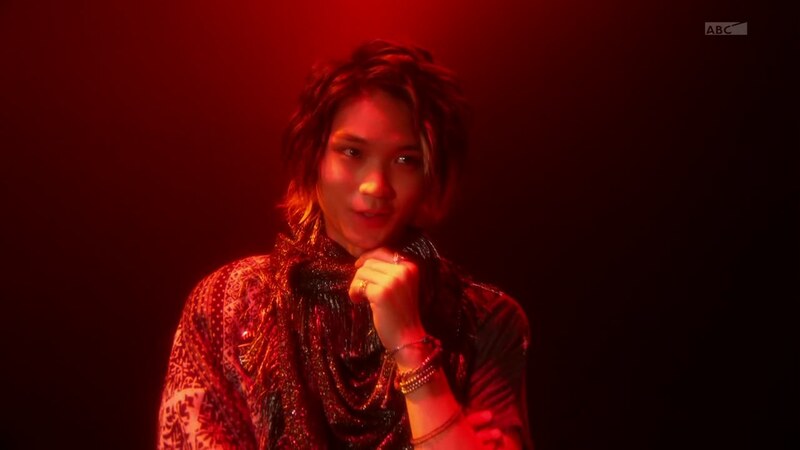 Takeru dehenshins. Akari and Onari rejoin them and Sakamoto Ryoma introduces himself. Takeru apologizes. He grabs Ryoma’s hand and pleads to have their souls link with each other. Ryoma thinks Takeru is very strange, but he knows he wants to revive. He asks Takeru what his dream is since a man can’t say he’s alive without having a big dream. Takeru says he wants to protect people from the Ganma. Ryoma thinks that’s pretty boring, but he suggests Takeru forge a Satcho Alliance. The Satcho Alliance was formed by Ryoma between the Satsuma and Choshu domains which would change the course of the nation. In the meantime, Takeru has to deal with the Ganma taking over the mobile networks. He asks a reluctant Yurusen for help and grabs him so he can be taken to the Ganma. Akari hops on Onari’s back and they follow. Takeru and Yurusen find the cell phone scrambling Ganma. But Takeru also comes face to face with the Ganma that killed him. He henshins and they fight. 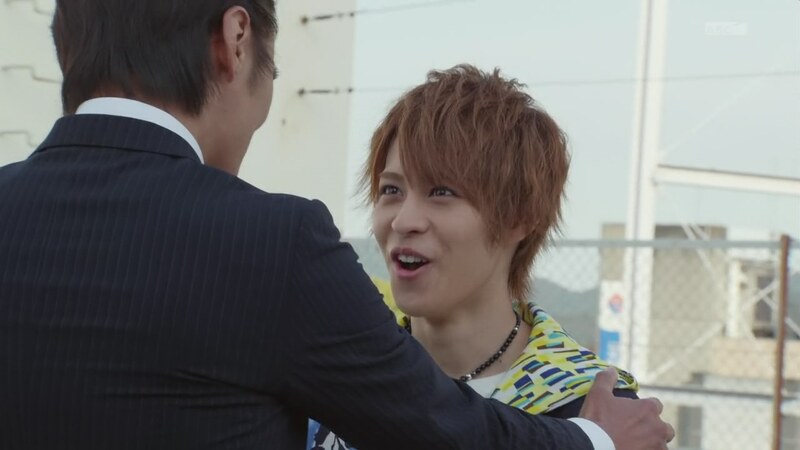 Onari tries to get Takeru to use Goemon Eyecon, but he goes Edison instead. The two Ganma leave before they are killed. 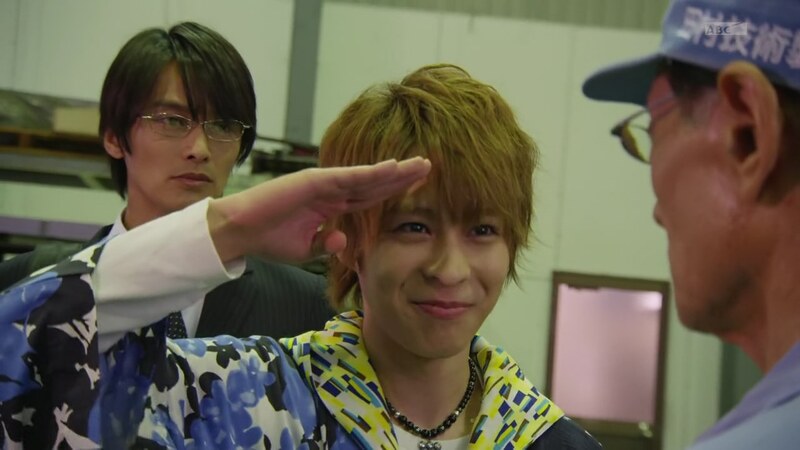 Takeru thanks his Makoto-niichan as he smiles and leaves. Ryoma comes and asks Takeru why he burns brightly even when he’s dead. Takeru says he wants to do his best even if it means putting his life on the line. Ryoma says risking their lives for their dreams was something they did every day in his era. Takeru asks about the 2016 Satcho Alliance. 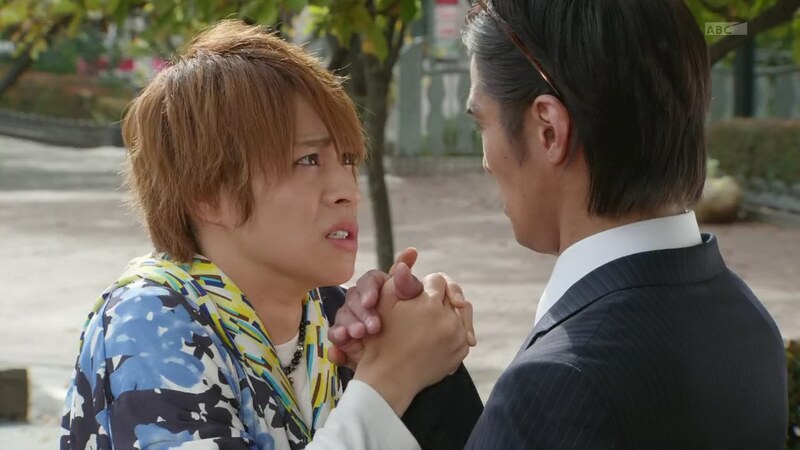 Ryoma wants Takeru to help the man he’s possessed to form such an alliance to help with his big dream. Ryoma moves to the backburner while the man returns to the front. Akari and Onari will look more into what’s going on while Takeru stays with this man. Akari notices Takeru flickering, but doesn’t say anything. Takeru explains what’s happening to the man. Surprisingly, the man, Tamura Nagamasa, is very excited. He’s always looked up to Sakamoto Ryoma and wants to achieve big things like him. His dream involves space. Nagamasa makes satellites. But he’s encountered a problem in creating his newest one. He hasn’t been able to get the help he needs from a veteran engineer… his father. Alan meets with the two Ganma to tell them he’s found a way to expand the scope of their plans. Akari shows Onari, Shibuya and Narita a map of all the cell disruptions and asks them to check out the area. Nagamasa takes Takeru to their plant. His father created the first satellite that could link with other satellites. They head inside and Nagamasa tries to persuade his father. But he tells him to leave as this is a waste of time. Nagamasa asks if his father is still affected by what happened in the past. That sets his father off, but Takeru tries calming them both down. 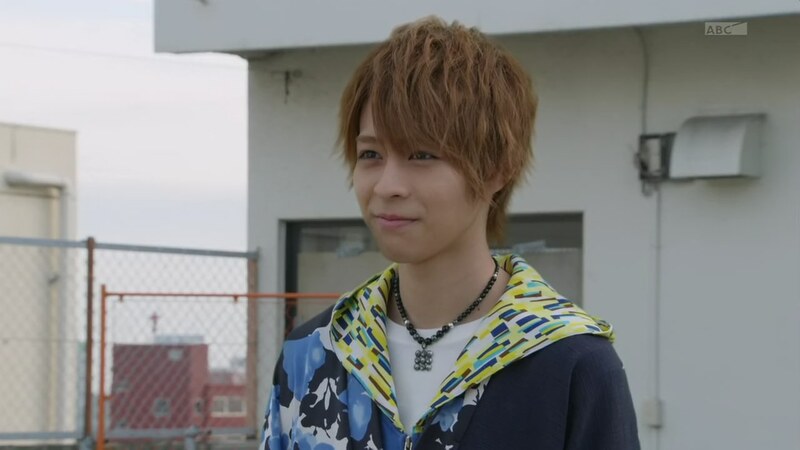 Takeru sees father’s name is Tamura Satsunoshin. “Sat” plus “Naga”/”Cho” = Satcho Alliance! Takeru says he wants to help, but Satsunoshin kicks them out. Nagamasa says he won’t approach anyone who can’t let go of the past. He turns to leave, but Ryoma pops in again to tell Takeru he can’t just give up. Suddenly, the Ganma appears and attacks Takeru. Takeru henshins straight to Boost. The sun has quickly set and it’s nighttime now. Onari runs into them as they fight and suggests Takeru finally try the Goemon Eyecon. Takeru goes Goemon. After a little bit of back and forth, Yurusen points to the Sunglasses. Takeru finds he can pop two Eyecons into the Sunglasslasher for a Mega Omega Shine finisher. Meawhile, Aranalan and the other Ganma head to a big satellite in Kanto. The Ganma uses it to activate a huge eye. Akari observes the disturbance on the computer. It was an okay episode after the little break. We’re basically back to square one I guess. It really was a complete reset of the story. Though at least we had 12 episodes of establishing our characters and their relationships which allows the show to focus fully on the story now maybe. Onari and Akari being the well-meaning, sometimes bumbling sidekicks has been fun. Much better than them just screaming. Shibuya and Narita getting sent off on missions is alright. And it should be interesting to flesh out the hellish Ganma world more as we move forward. Ryoma seems very cool. I wonder if he’ll stick around. Overall, an okay, sort of bridge-like episode especially after the break. 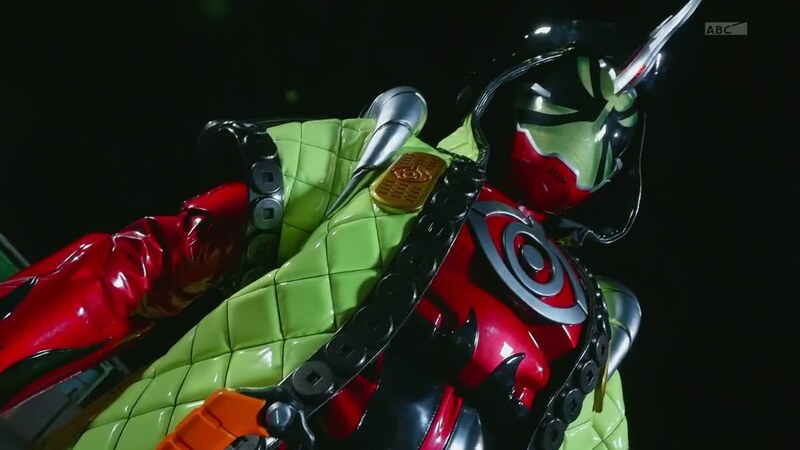 ← Recap: Kamen Rider Ghost, Episode 12 – Heroic! A Man's Resolve!